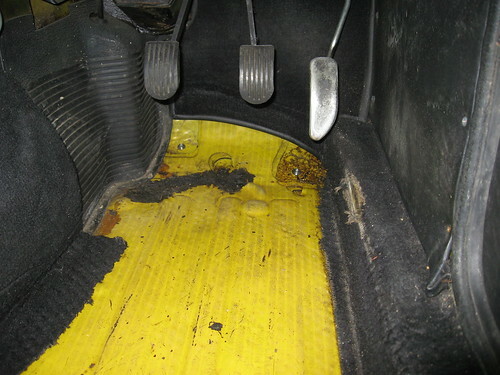 The floor looks to be in good shape, apart from this bit under the pedals. It looks like rust has eaten through part of the floor, but it doesn't look fresh. I'll treat it and keep an eye on it.